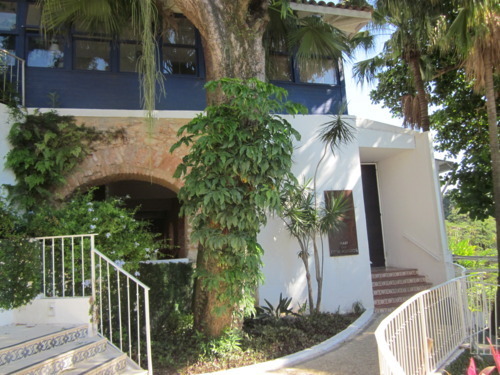 Now that we have a car, exploring other areas of Brazil is much easier! 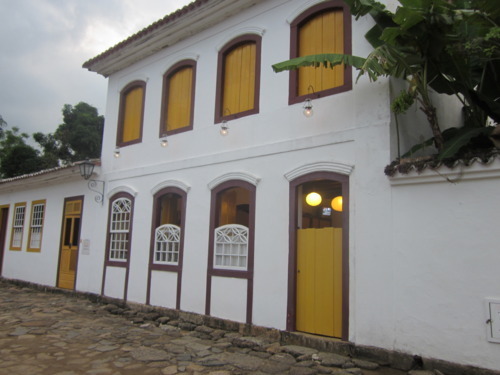 About 4.5 hours away from Rio is the beautiful town of Paraty. Getting there is an interesting experience all on its own, driving through, in and around the many mountains (it is crazy trail as you can see from our GPS above). You will see thousands of cows (I think there are more cows in these mountains then rats in the NYC subway!) It feels like you are in a ‘live’ version of Mario Cart taking crazy turns and the wild Brazilian drivers passing you on every side. 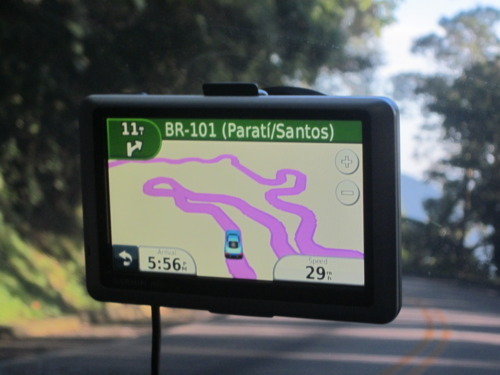 You will also find that GPS will sometimes not be able to pin point your location- ours actually suggested that we ‘find a road’….Warning: If driving at night— there are NO lights anywhere so try to drive during the day. 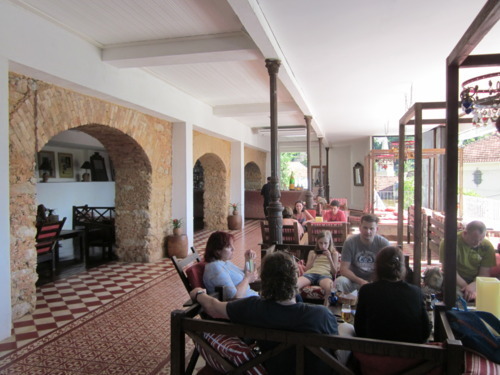 Ok so after a few detours we made it to Pousada Ouro. 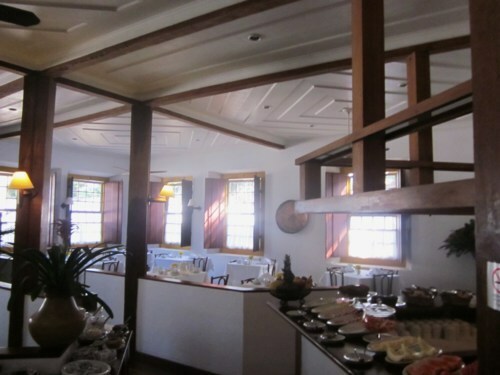 A great hotel in the historical center of Paraty. Find your room…Looks like a mini version of what the actual town looks like! 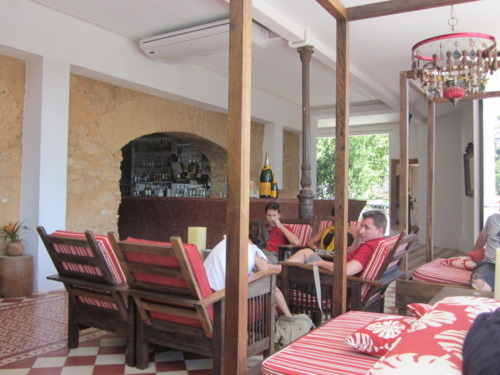 Located in the heart of a beautiful colonial town, with great proximity to restaurants and sea; the hotel combines historic ambiance with modern conveniences. 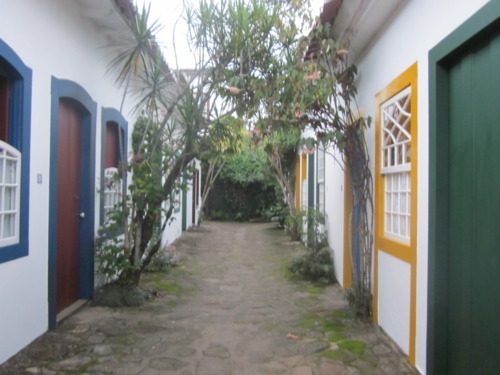 The rooms are on the smaller side, but very charming nonetheless. 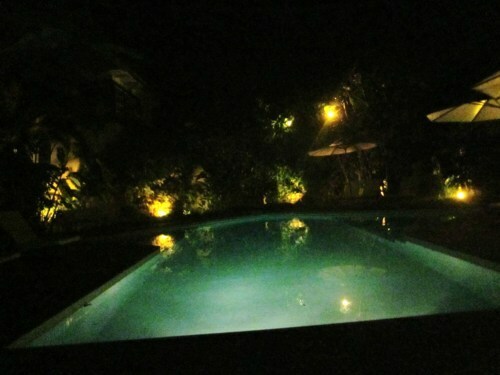 There was a nice pool (shown below) in the shape of an arrow with a bar area and pool table on the opposite side. Packing tip for the ladies— The cobblestone streets here are harder to walk on than any other cobblestone street I have reported on and the night life is low key, consisting of nice restaurants and some live music so it is safe to leave your heels at home, I promise!